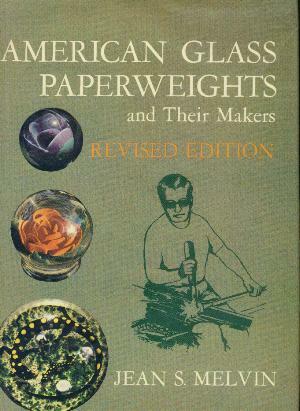 Melvin "American Glass Paperweights and Their Makers"
Jean Sutherland Melvin "American Glass Paperweights and Their Makers, Revised and Enlarged Edition"
Subtitled: "A story of glass-paperweight craftsmen of the United States, their processes, and their products"
This is the second of two editions of the only book devoted to 20th Century American Glass paperweights. No other book covers the subject as thoroughly. 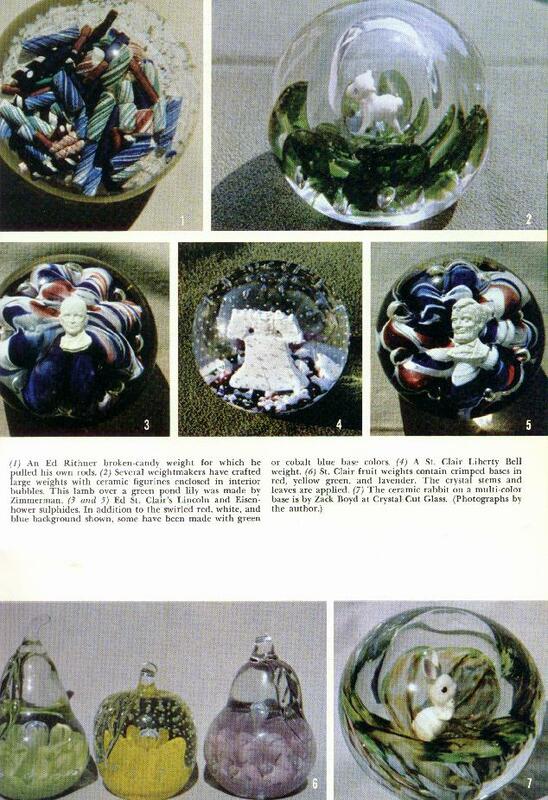 Most books on glass paperweights completely ignore most of the glass artists included in this book. The unique qualities of each weight maker are identified and portrayed in the photographs and descriptions. The names of the makers, and their families, and dates of production are included to aid in identification. A must have book for collectors of American paperweights. 287 pages plus 20 full color pages featuring 200 weights (307 pages in all). Over 150 black and white photographs and drawings. 7 1/4" by 10 1/4". 1970. Click on the picture to see a color page from the book.